Wayfinding Leadership : Ground-breaking Wisdom For Developing Leaders - ubiq bookshop: the best place to buy books! 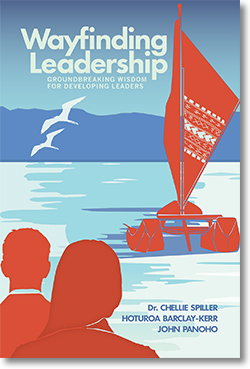 This book presents a new way of leading by looking to traditional waka navigators or wayfinders for the skills and behaviours needed in modern leaders. It takes readers on a journey into wayfinding and leading, discussing principles of wayfinding philosophy, giving examples of how these have been applied in businesses and communities, and providing action points for readers to practise and reflect on the skills they are learning. Featured in the 30 November 2016 New Zealand newsletter.